Natalie and I just met Caroline Abbott – the newest American Girl doll from their Historical Collection. 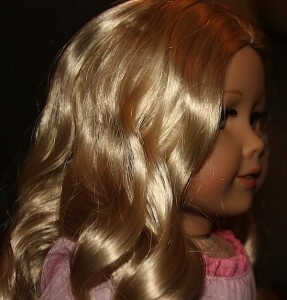 She is due to hit stores on September 4th – so this is your sneak peek! 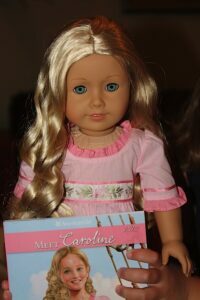 We have pictures and video of Caroline Abbott for your viewing pleasure. 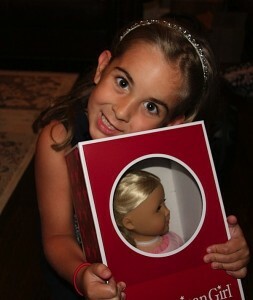 My house LIVES for American Girl! Caroline’s story takes place in 1812 around Lake Ontario. 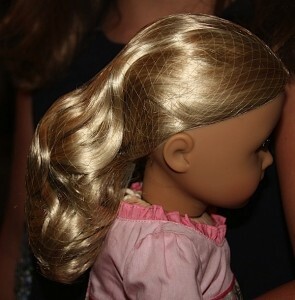 As soon as you see her, you notice that her hair is extraordinary. Those blonde curls are simply magical. Natalie immediately ran her fingers through them to see if they were as soft as they looked. 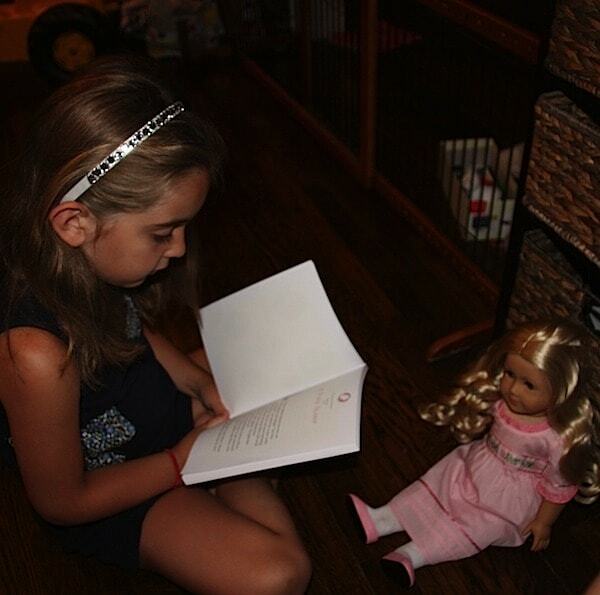 As you know, each American Girl doll comes with a book – detailing her story. 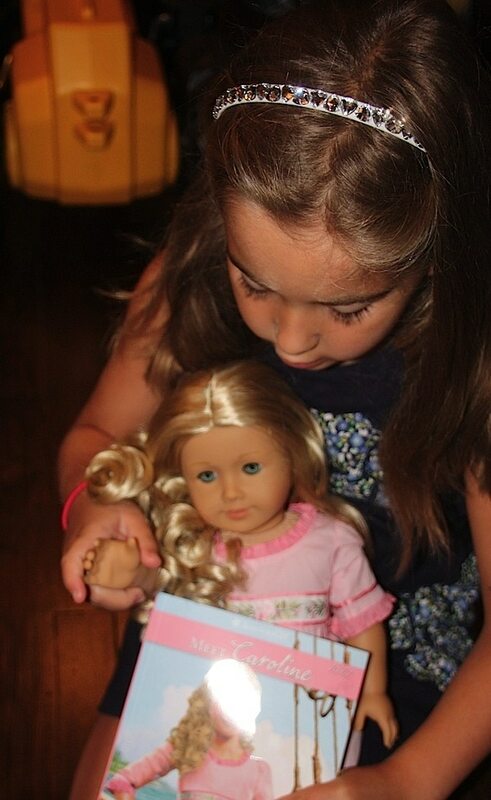 This is a great way to get your children interested in reading. Not only does Natalie want to play with and love Caroline Abbott, but she also wants to learn about her. The “Meet Caroline” book is a sneak peek into that life and I think it makes owning this doll really special. We scanned through the pages and saw that the book actually revolves around the war of 1812. So, not only is it a fun read… but it’s also an informative one. 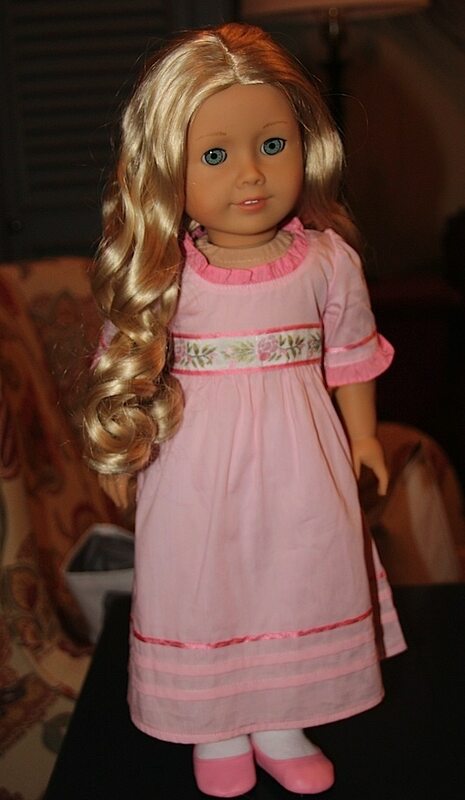 The American Girl Doll Historical Collection offers up the perfect combination. My daughter is seven and cannot read this book without some help from a parent. We’ve decided to read a little bit from it each night before bed. We are both very excited! 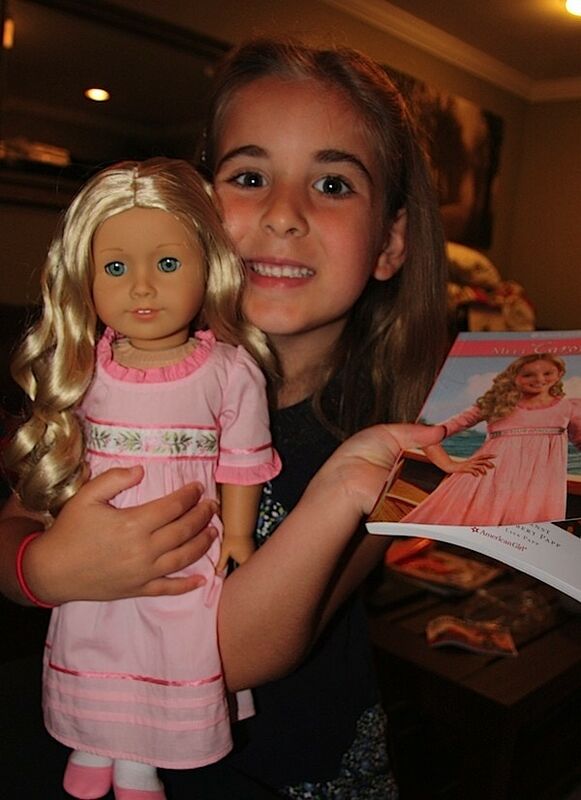 Here’s our video review of Caroline Abbott – the newest American Girl doll. To learn more about Caroline Abbott – be sure to visit American Girl online. Here’s the moment when Caroline Abbott got to meet her sisters. SO CUTE! 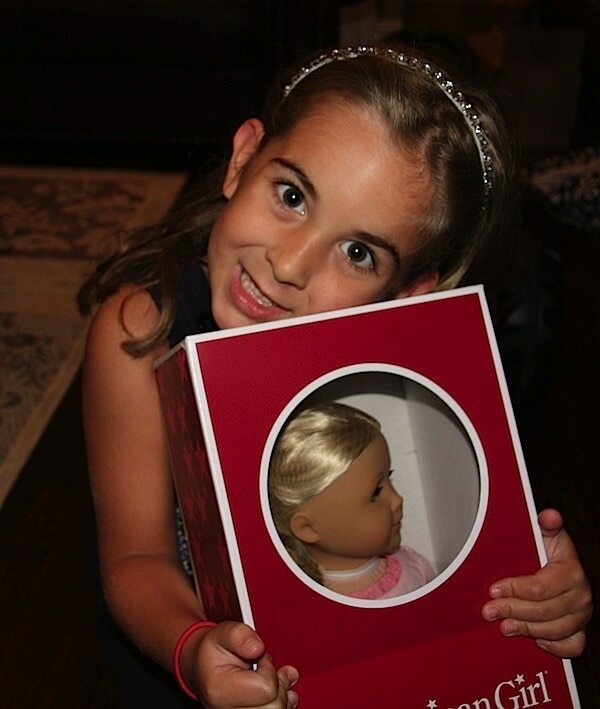 * American Girl sent me the doll for review – all opinions are my own. 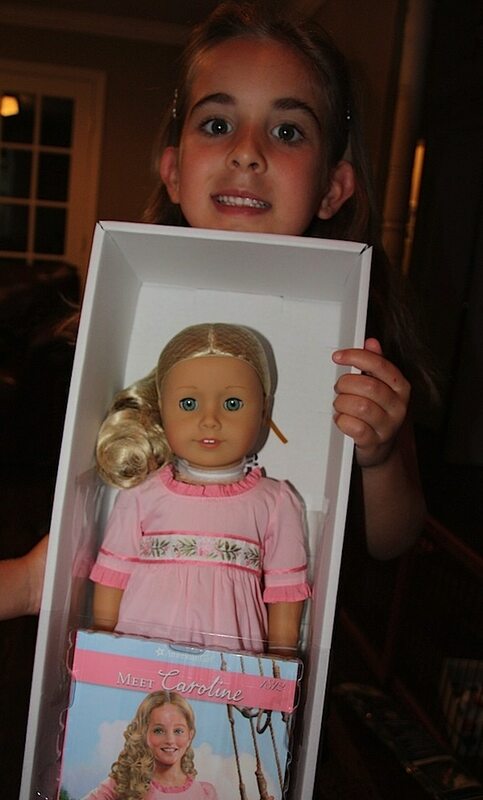 Yes—your girl can bring in her doll for everything from general cleaning to “major surgery.” She’ll visit our Doll Hospital, and once she’s feeling better (in about two weeks), we’ll send her home, safe and sound. I’m confused. My friend told me Caroline was a new doll, but if somebody already has her … Is she discontinued or was she custom or … I just wanted to know, and wanted to make sure that I’m not in any way trying to be mean/sass you guys. So answer back if you get the time and if you can’t I totally understand. 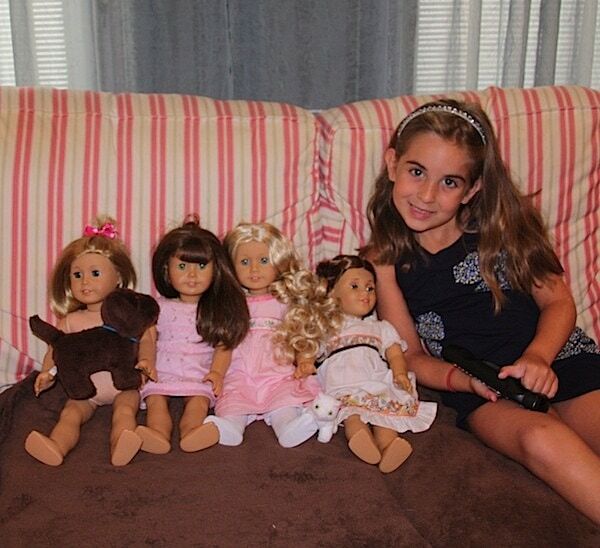 Sidney E., 11 years old, U.S.A.
awwwh u lucky thing! i cant have her till january because iv gotta get money for christmas, roughly, then it might be about a month for her to be shipped to me because i live in england! oh wow can’t wait to get her! the doll is out in the ag place check it out!